A new information brochure for visiting schools has been produced. This contains all that you need to know if you are thinking of bring a group of school children on our walk. It includes: Example timetables for day or half day visits, New National Curriculum links, preparing for your visit, risk assessment information, some examples of our historical enquiry questions and how to book your visit. 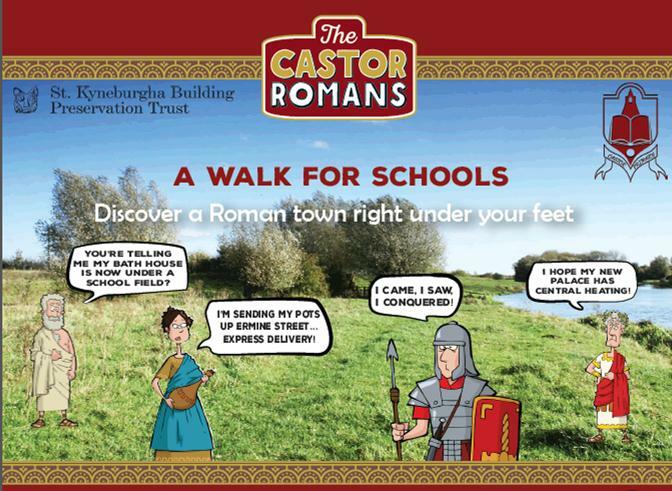 Download our Castor Romans Brochure for school visits here.